Caldecott Park is an urban park located in the centre of Rugby, England. 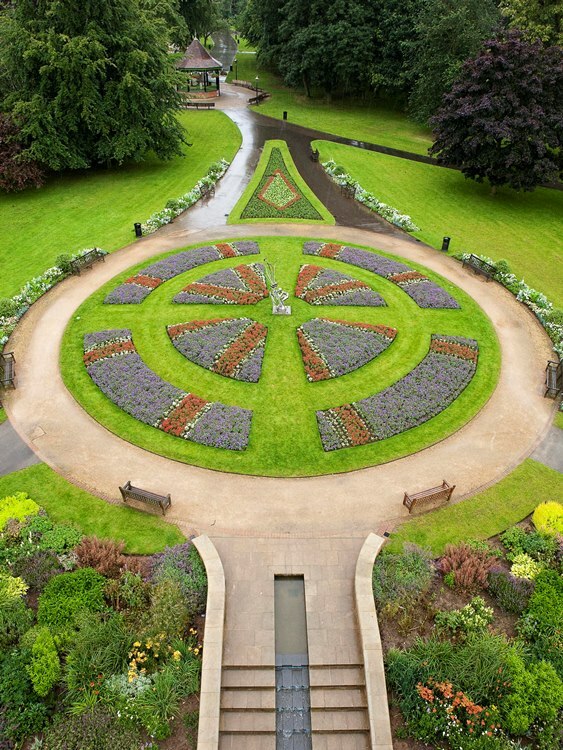 This popular park in the centre of The Rugby Town features a number of colourful flower beds and has been featured often in the Britain in Bloom competition. Caldecott Park opened in 1904 and is named in memory of the Caldecott family who were lords of Rugby Manor. Thomas Caldecott, the last Lord of the Manor, died in 1875. This award winning park caters for all tastes. It offers an escape from the hustle and bustle of the shopping area with mature trees and beautiful flower displays plus a children's adventure playground, tennis courts, a band stand and a regular programme of outdoor events each summer. Adjacent parking in the Newbold Road car park.